With ingredients sourced from their garden and biodynamic farm and sustainable farming projects around the world, each Dr. Hauschka product is carefully crafted with the best natural ingredients to restore and reinforce skin’s balance and rhythm through self care. Every ritual is curated to nurture your skin’s unique condition for a radiant and healthy complexion. Soothing Cleansing Milk features fermented grains and bentonite clay that effectively cleanse, calm and reduce the appearance of redness. 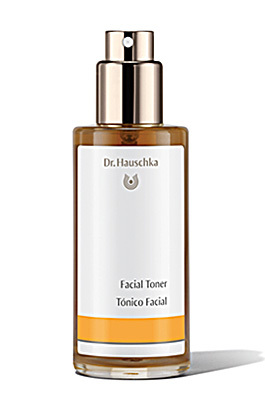 Facial Toner uses anthyllis extract to help skin remain balanced, while witch hazel supports tone and elasticity and refines pores. Mist on skin after cleansing and throughout the day. Ideal for normal, dry, mature and sensitive skin types. 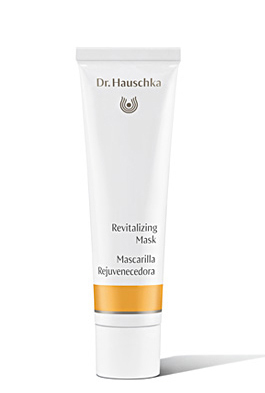 Revitalizing Mask features quince seed, anthyllis and chamomile extracts to help skin maintain moisture, visibly minimize pores and calm redness and irritation. Use weekly as a mask, or apply a pea-size amount daily under moisturizer. 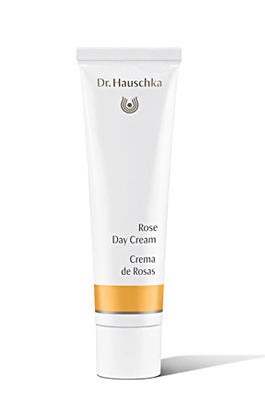 Rose Day Cream feautres rose petals and wild rosehips to nurture and balance the skin. Shea butter, rose petal wax and avocado oil protect and help retain moisture. Apply evenly to face, neck and décolleté every morning. Ideal for sensitive and dry skin types.